The artist name and episode title appear in the Smart Track Player by default. The player gets this information from the MP3's ID3 tags, but you can override that information. There are two ways that you can do this. When you create your track shortcode, enter your desired artist/author name in the "Artist" field. 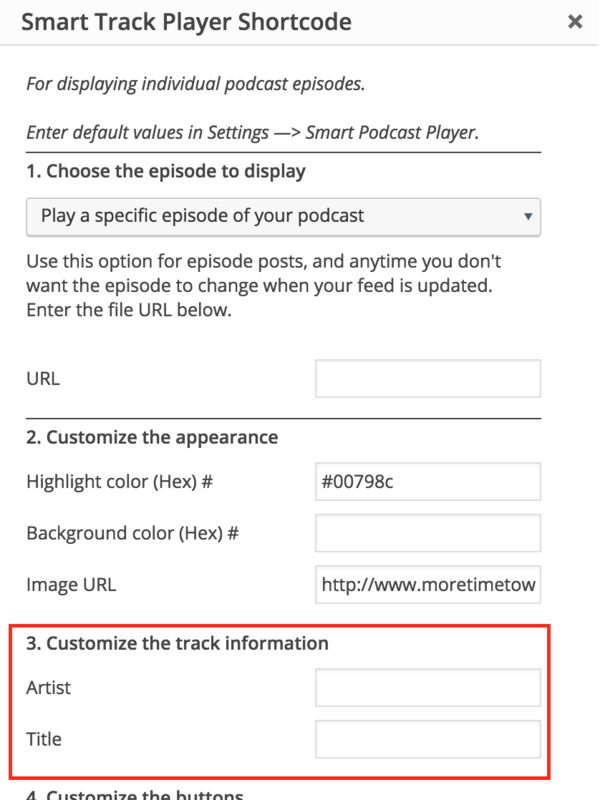 Entering a name here will override your episode's artist name. Then enter your title in the "Title" field to override your episode's title. artist="Pat Flynn" title="How Narrow Should I Make My Ebook Topic?"